Our history covers over eighty years of continued grow progress, and service to many communities. In 1919, B.F. Curry, Sr. founded our first automobile dealership in New York City. Under his guidance, this pioneer organization became one of the largest Chevrolet Sales and Service centers in the world. 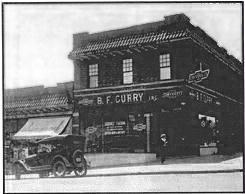 Shortly after World War II, Curry Corporation was founded for the purpose of leasing motor vehicles, a unique concept in its day. This company eventually was opened in the northern Westchester community of Yorktown. The Curry Auto Group has continued to expand, meeting the needs of Westchester and the surrounding area. 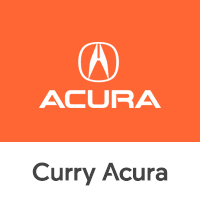 Today, the Curry Auto Group includes Curry Honda, Curry Subaru, Toyota, & Hyundai in Peekskill, Curry Acura and Chevrolet in Scarsdale, Curry Honda in Chamblee, Georgia, and, Curry Honda and Curry Nissan in Chicopee, Massachusetts. Our team at Curry Acura would like to thank you for visiting our website! We have a strong and committed sales staff with many years of experience satisfying our customers’ needs. Located in Scarsdale, New York, not far from Westchester, Yonkers, Mount Vernon or the Bronx, the staff at Curry Acura will help you find the Acura vehicle you want. At Curry Acura we offer an extensive online inventory of new Acura cars in Scarsdale, along with well-maintained used cars, trucks and SUVs by today’s top manufacturers. Come on in and take a test drive! Our sales staff will help you find that new Acura or quality used car that you have been searching for. Our greater Yonkers and Bronx Acura dealership is ready to help you get into a new or used car that fits both your lifestyle and budget! For years, the financial staff at Curry Acura has offered expert advice for those seeking an affordable Acura auto loan or car lease. Our service doesn’t just stop there. 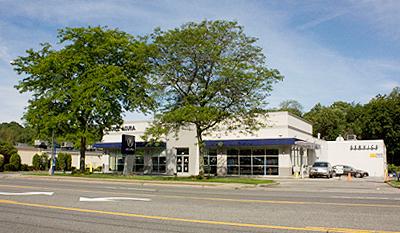 Scarsdale customers can come in and take advantage of our knowledgeable Acura car repair technicians and a fully-stocked inventory of Acura auto parts and car accessories. Whether you are looking for a Acura or a pre-owned car or truck, Curry Acura is here to help. If you don’t see what you are looking for, click on CarFinder and simply fill out the form. We will let you know when vehicles arrive that match your search! If you would rather discuss your options with our friendly sales staff, visit us in person. We are conveniently located at 685 Central Park Avenue, Scarsdale, NY 10583. You can also reach Curry Acura any time by filling out our contact form or calling us at (866) 491-1024. The entire staff at Curry Acura looks forward to serving you!